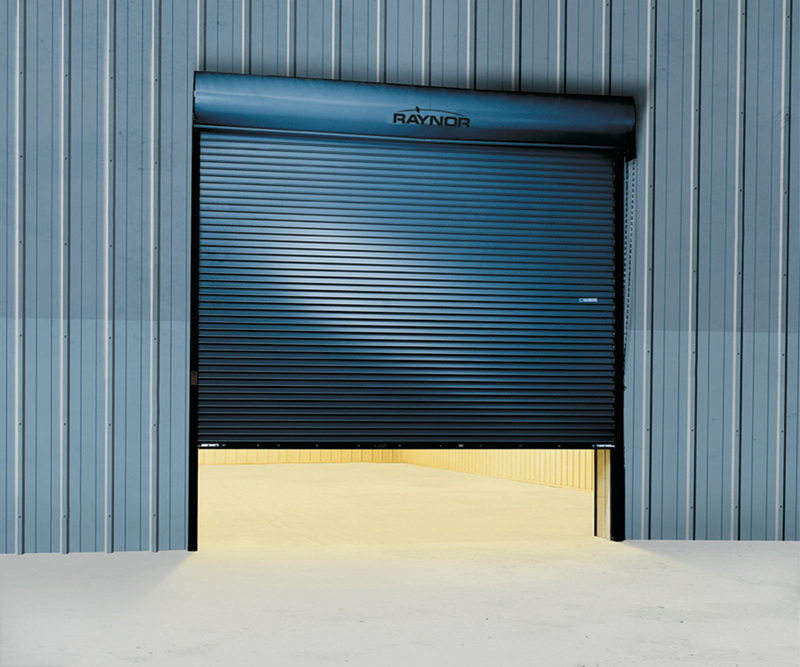 Omaha Door & Window Co. uses two of the leading Rolling Steel Door manufactures in the USA, Raynor and Cornell Iron Works. Both companies have a full line of products and have a reputation for making a high quality door a competitive price. Choose from some of our available items below to view more information. The type of slats available are SC-Small Curved, LC-Large Curved, FF-Flat, IF-Insulated Flat and FP-Perforated Flat. Carries a UL Label or Oversize Label Class A 4 hour fire rating to give maximum fire protection. Automatic closer can be initiated by melting of fusible link or by electro-mechanical design, activated by heat detector, smoke detector, or building alarm system. 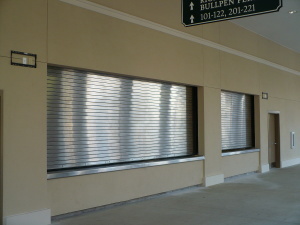 The type of slats available are US-Small Curved, OL-Large Curved, and UF-Flat. Spring-loaded, oscillating-type governor assures a controlled descent in case of a fire. 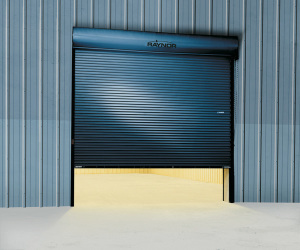 Available in aluminum, primed steel, and stainless steel in a flat slat design. 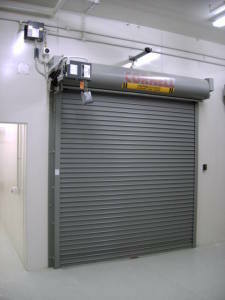 A fire rated steel and stainless steel counter shutter is also available. They can be manually, crank, or motor operated. They have the capability of being mounted to the face of the wall or between jamb mount. Uses 5/16″ diameter horizontal aluminum rods spaced vertically at 2″ on center with interlocking stamped aluminum links spaced horizontally every 6″ or 9″ for the ultimate in security. Mill finish aluminum is standard with clear anodized and bronze anodized optional. You can choose a GSA straight pattern or a GBA brick pattern. Roll-formed from commercial quality G-90 hot-dipped galvanized steel and are painted with baked-on tan polyester enamel paint. 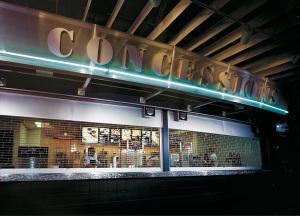 Over 200 other colors are available with Cornell’s SpectraShield Powder Coat Finish. Aluminum, perforated, and stainless steel not insulated flat slats are also available. 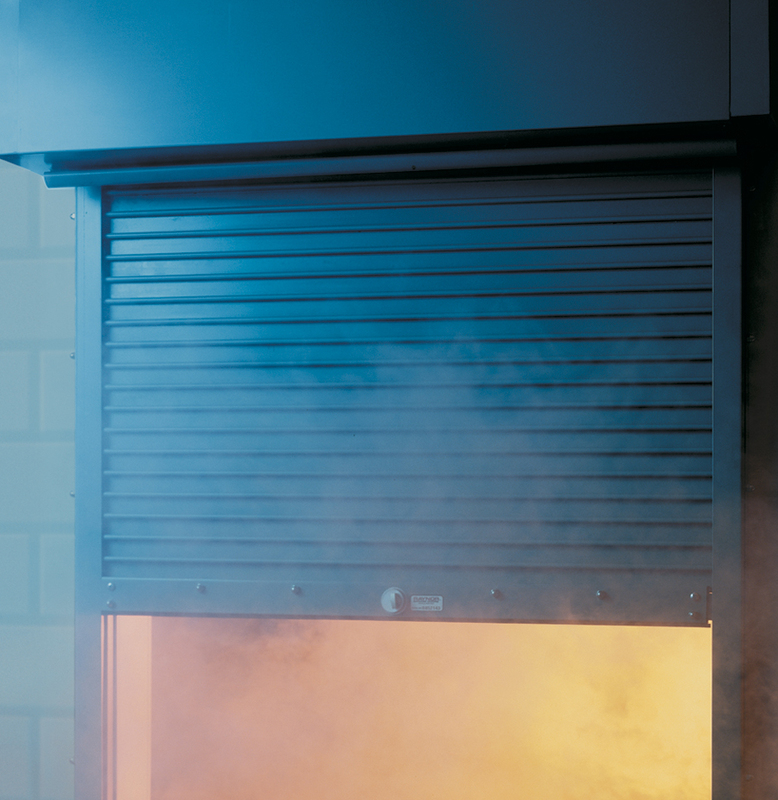 The energy saving THERMISER has a 15/16″ thick insulated slat that can offer real energy savings. Choose from a variety of motors, chain, hand-crank, or push up designs based on size, weight, frequency of operation. 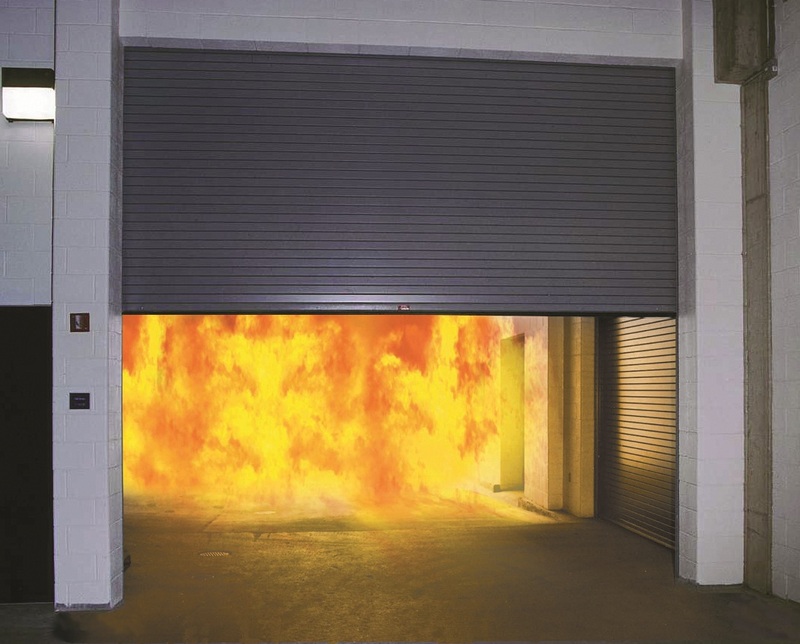 As the door lowers the governor reduces the door speed to allow for a smooth decent in case of a fire. 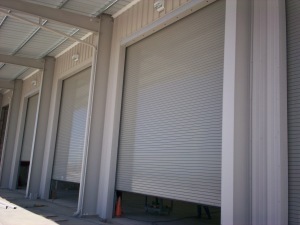 The type of slats available are Flat steel or stainless steel. Available in aluminum, baked on light gray polyester painted steel, and stainless steel in a flat slat design. Automatic resetting of the automatic closing system yields dramatic savings for building owners in testing and resetting costs as well as minimized opening downtime. M100 systems are directly wired for activation by fire alarm systems, local detectors or power failure without requiring connection to a separate alarm interface, fusible link release device. 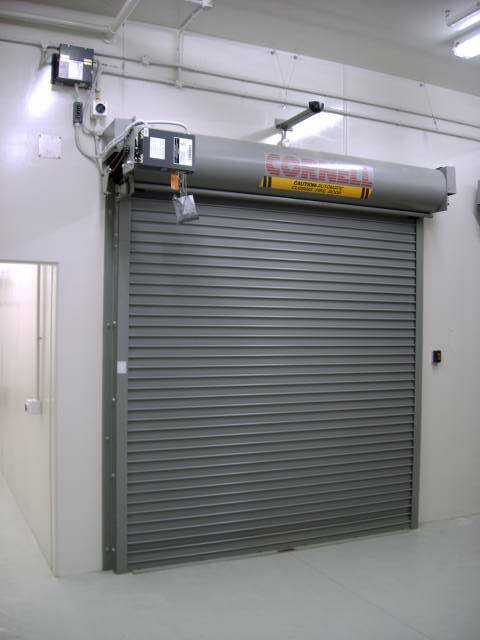 Eliminate mechanical spring release and complicated testing and resetting, especially on recessed and larger doors. 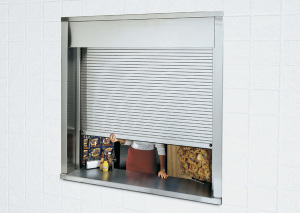 Uses 5/16″ diameter horizontal aluminum rods spaced vertically at 2″ or 1 1/2″ on center with interlocking stamped aluminum links spaced horizontally every 3″, 6″ or 9″ for the ultimate in security. Mill finish aluminum is standard with clear anodized, medium bronze duranodic, dark bronze duranodic, or black duranodic optional. 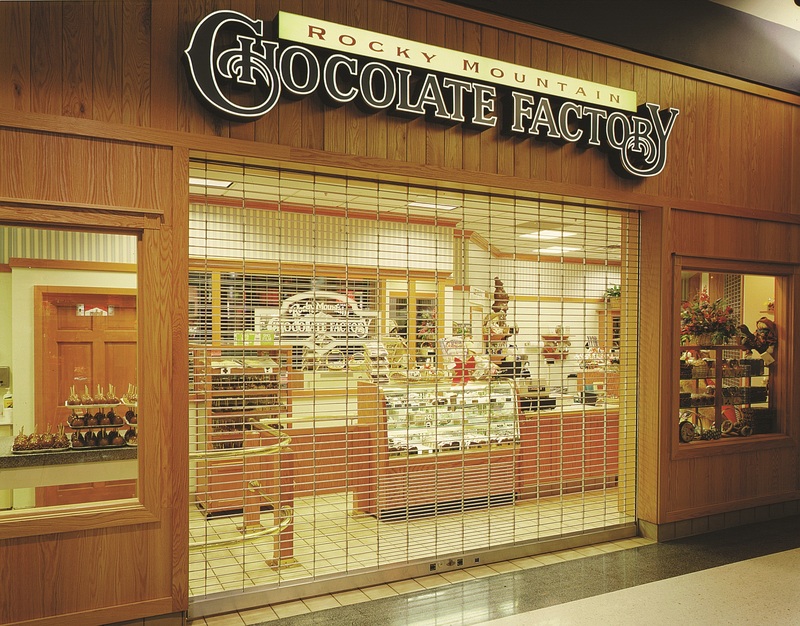 Glazed curtain is available to provide security against theft of small articles while still offering full visual access to interior spaces.